Well it was noisy night for Chris mostly as I had ear plugs he woke with a start a few times during the night with trucks pulling up beside and behind us. We were up reasonably early and on the road by 8am. We had to get off the Hume to fill up in Goulburn, lucky it was on and off pretty quick. Sydney was not so easy, they hit you with a toll when you go onto the M7 and when you get off, we had to get off to find fuel. Getting back on was not so easy, our GPS told us one way but the signs said Newcastle another so we followed the signs and not our Bossy Betsy the GPS. 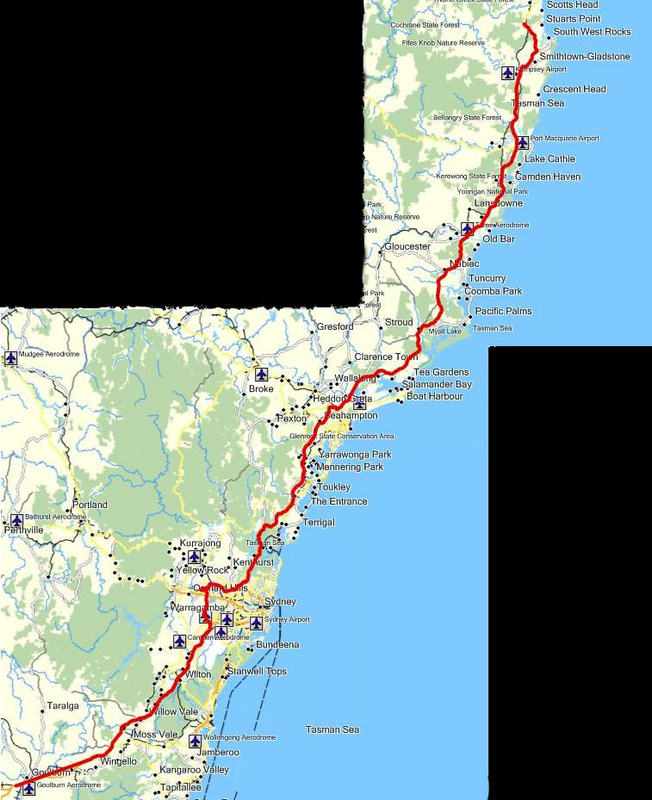 Well the signs took us closer to Sydney in busy traffic with a van is not fun, taking us around what we know as the older route to Newcastle instead of on the M7, off course when we did get back on we got hit for more tolls. The Highway is by passing the towns these days which is great if you just want to fly by them but a pain when you have to get off and find fuel, we had a red dot on the gas a few times. There are several service centres along the hwy which we used when we could. We have pushed on hard today and got a lot of kms under us, just driving is all rather boring. There was a lot of road work along the way, at one point we were stop by road works for nearly 30mins. We have stopped for the night north of Kempsey at a rest area called Paddy’s Rest, not used by trucks, Chris backed us into a spot as far off the road as he could.